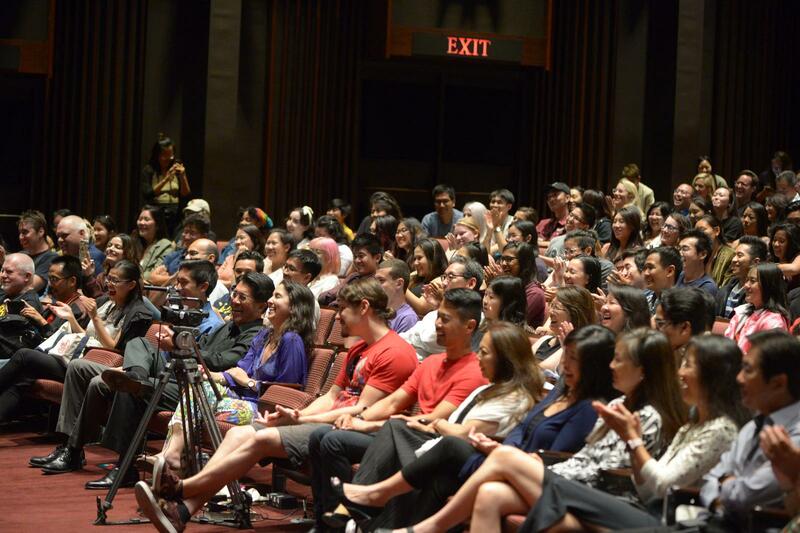 On Wednesday, August 16th, the USC School of Cinematic Arts (SCA) held a screening of Crazy Rich Asians in Eileen Norris Cinema Theater, in association with the USC Asian Pacific American Student Assembly (APASA), USC Asian Pacific Alumni Association (APAA), USC Asian Pacific Cinema Association (APCA), and Warner Bros. Pictures. This very special event kicked off SCA’s Fall 2018 Outside the Box [Office] screening series. 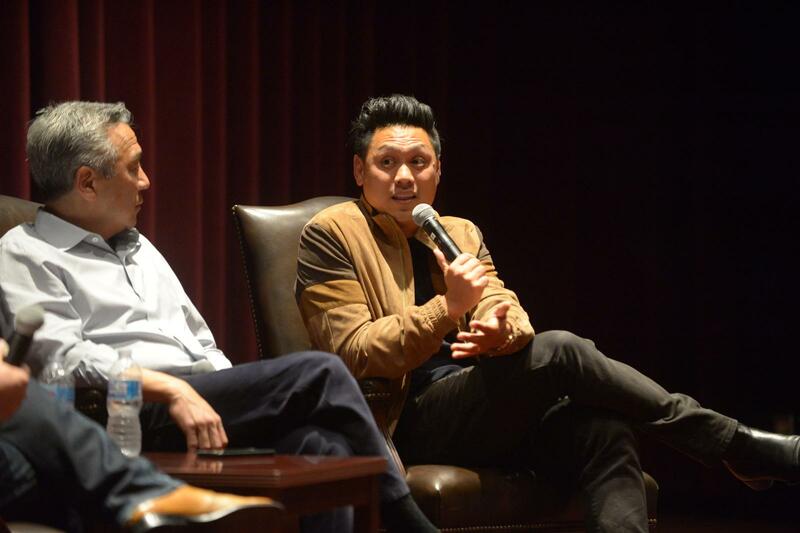 The screening was followed by a question and answer session with alum/filmmaker Jon M. Chu, and alum/Chairman and CEO of Warner Bros. Entertainment, Kevin Tsujihara. Moderated by Alex Ago, the Director of Programing and Special Projects at SCA, the highly anticipated event was packed to capacity with students, alumni, and faculty eager to see the film. The movie, which tells a timeless story of two people from different social classes falling in love despite family opposition, is the first film in over two decades with an all-Asian cast. Written for the screen by Peter Chiarelli and Adele Lim, Crazy Rich Asians is based on the bestselling novel by Kevin Kwan. This modern romantic comedy follows the journey of Chinese-American economics professor Rachel Chu (Constance Wu) of New York City, and her journey to Singapore to meet her boyfriend’s family. It is there that Rachael discovers that the Nick Young (Henry Golding) she is in love with is heir to the fortune of Singapore’s wealthiest family, and that his mother, Eleanor Young (Michelle Yeoh), has a very different idea in mind for what kind of woman is suitable for her son. However, behind the backdrop of breathtaking aerial views, extraordinary couture gowns, and exquisite cuisine, is a film about cultural awareness that has captured the attention of movie-goers and critics alike. “Jon did an amazing job of making sure you are hungry and want to go to Singapore after seeing this movie,” Tsujihara noted. “I wanted to do the thing that scared me the most, which was deal with my cultural identity,” said Chu. 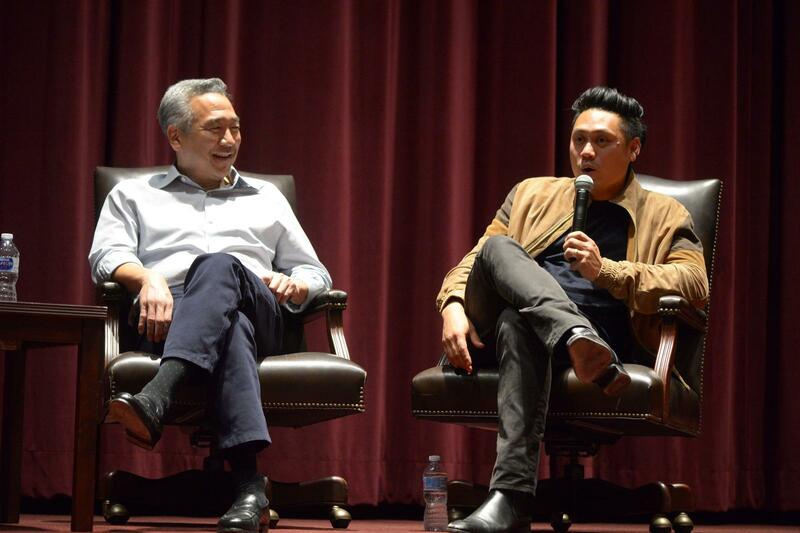 As the evening with Jon Chu and Kevin Tsujihara opened up to questions from the audience, themes of diversity in both the casting of Asian actors and the telling of stories of the Asian experience were further touched upon. Chu said the problem with representation of Asians is that, “Everyone thinks that it is just one thing, but it really is so many different countries and people coming together.” As for the role Crazy Rich Asians has to play in changing this stagnation in Hollywood, Chu added that, “This is one story of very particular characters already written in a novel. I hope it can open the door for other stories and other filmmakers, because you cannot un-see what you have seen: Once you see that Asians can be all types and all styles and all walks of life, you will see Asian people differently.” Chu shared his own personal experience of identification and struggle, and how he used it to connect with heroine Rachel Chu's experiences. “What I related most to in the book was not all the fancy stuff, but the Asian American going to Asia for the first time,” Chu said. It was this part of the Asian-American experience which made him focus the adaptation's storyline on Rachel's trip to meet the in-laws. “This idea of going to your homeland and not knowing what to expect but feeling this warmth, only to realize you are not quite a part of that world either and then feeling like you have to choose is very real to me,” Chu said. Crazy Rich Asians is now playing in theaters nationwide. As the screening at USC came to a close, Alex Ago mentioned that there are more books in the best-selling series, and both Chu and Tsujihara joked that this may not be the last time we see them at Norris Theater! 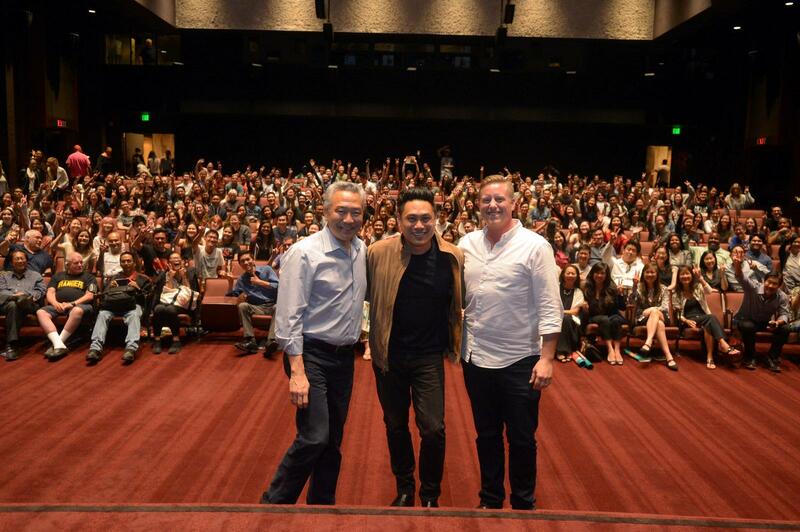 Above from left to right: Kevin Tsujihara, Jon Chu, Alex Ago.